You are here: Home › Projects › Testing Times – Where to begin? So here it is, the second installment and the real beginning of the story. 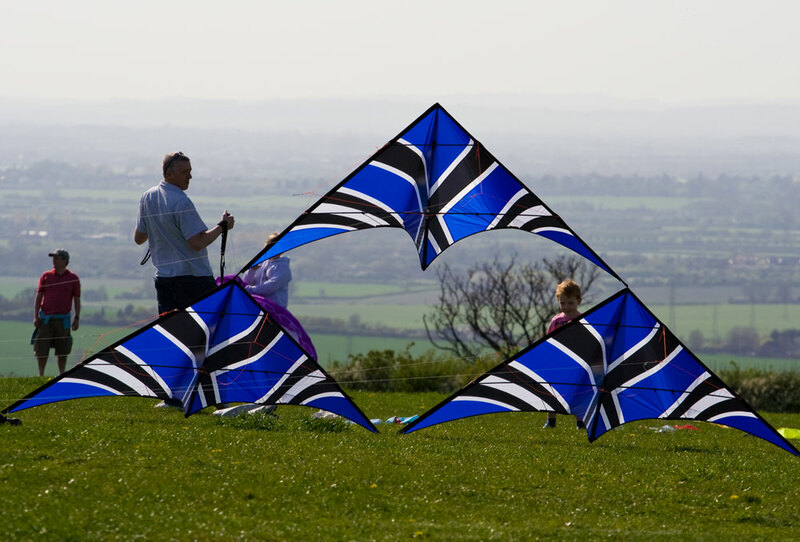 Two years ago Gee Thomas turned up to one of The Flying Squad’s team practice with a new dual line team kite he had designed. In fact, he had made a whole set! These kites looked fantastic with the panel layout being a styalised version of the team logo. In fact, the looks were only beaten by the performance. Slow, precise, slow, great tracking, slow and easy to land (and did i mention slow?). In short, perfect for team flying but maybe not dynamic enough for an individual kite. What I wanted was a version of the kite that was faster, more reactive, faster, easier to trick and faster! But, how to do that? So, it wasn’t long before I pestered Gee to let me make a smaller version, 82.5% smaller in fact. Why 82.5%? Well, the team kite had a 1m long spine and 82.5% of that is a single piece of Sky Shark and you have to start somewhere! A trip to the local printers soon provided a full size plan and the first prototype was made. Gee, was the first to spot that the finished kite wasn’t actually 82.5% smaller than his kite. The printer hadn’t been able to print the original file but instead had printed it in A4 and then enlarged that onto A0 paper but they got it wrong, it was too small! The lesson here, always check the work of external partners before you pay for it! Well, after some “discussion” with the printer a new plan was produced and a correct size kite was sewn.